Drake and Rihaana, UPZ, Liquid Deep, Mi Casa, Dr Duda, Dj Cleo, Professor,Black Motion, DJ Clock, Crazy White Boy, Professor FT Oskido, DJ Cindo, DJ Sbu Ft Zahara and Many More. Free Download or Stream On Line. Please make sure you subcribe to our mailing list, enter your email address below. 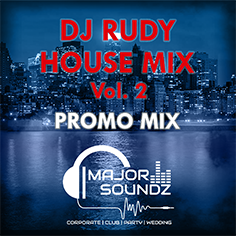 DJ Promo Mixes, upcoming club gigs and much more!